This eco-friendly 4 foot bench is made with 2" x 4" recycled plastic slats with a black recycled plastic frame for stability. 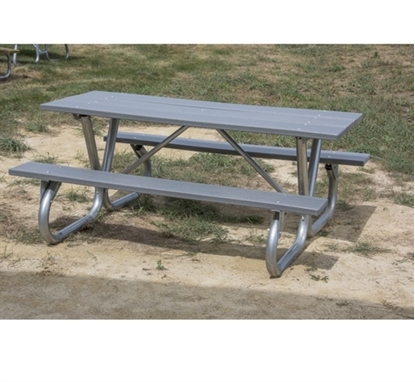 Recycled plastic benches are low maintenance and vandal resistant. Recycled plastic lumber resembles the look for natural wood without all the maintenance. Recycled plastic does not need to be stained or painted for long life.